Two weeks ago, one of my 9-year-olds was standing at the computer table, watching a video, and wearing headphones. My 12-year-old was sitting next to him, and they got into an argument over some ridiculously trivial thing, and the argument escalated. The 9-y-o tried to run away, with the headphones still attached to his head — and the iMac — and he pulled the computer off the table. It landed face down on the carpeted floor (concrete slab underneath). I set it back up, and turned it on. The HD would spin up, the startup chime would sound, but the screen never turned on. Have them repair it. That would be $379, more than I paid for it second hand from my dad. Taking into consideration the cost of the RAM upgrade I did, I would basically be paying for the machine twice. Repair it myself. Logic boards for this computer can be had for half (or less than half) what the repair shop is charging me. But I have no experience whatsoever with this sort of thing. I have a neighbor who is an EE, and he might be able to help. Pay the $50 and get a second opinion. But that would likely incur another bench charge. Pay the $50 and go looking for a similar machine on Craigslist, or elsewhere, that hasn't been broken (to the best of my knowledge). A cursory glance at Craigslist shows that I'll probably pay about the same amount as I would to have mine repaired. But I can take the RAM out of the broken iMac and put it in the other one. Pay the $50 and write the machine off. That would be best for my boys, because then they only owe me $25 each instead of $190 each. 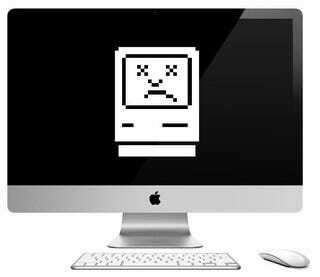 The iMac, a mid-2007 edition, is getting a little long in the tooth. And the money would be better spent on brakes for my VW. I'm leaning towards No. 5.